Going Out For A Few Days? Get Paid & Make Your Votes Do "Good" Even While You're Gone! I've just learned of a neat new way to have my upvotes voted while I'm away (like on a 3 day weekend or even vacation). Its called "adding myself to a curation trail" and I can do it with ANY account that is set up with a curation trail. So guess what? I can earn money for myself and do "good" (even when I'm gone) with one very easy step! How cool is that??? Go Back To https://steemauto.com and Log In... Then Click On "Curation Trail"
Then "Search" For A Trail (I use newbieresteemday) Note: don't use the "@" sign. After Finding The Trail, Click "Follow" Note: default is 50%, need to adjust to 100% if you will be gone. Also EVERY VOTE COUNTS!... Even if you have little to no voting power, by using this method your votes will add up together and actually help the newbie that is voted on! So while it may look like you have no power, in reality you are contributing because your vote will definitely count!!! That is cool! And I know because I was taught it by a great steemian named @coolguy123 who learned these "giving" ways from his membership in #stewardsofgondor! 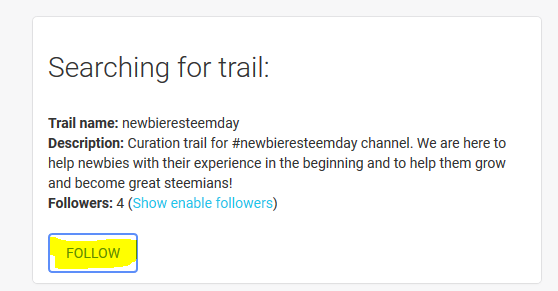 He is the creator of the #coolstewards program and delegator of 200 SP to get @newbieresteemday curation trail just launched! psst... Here's A Secret: We Set Up A Curation Trail For "newbieresteemday"
Of course, we set up @newbieresteemday to be such an account. We have volunteers manning this account and voting only for newbies posting high quality material with a 45 Reputation Score or lower. And we will keep the voting power between 80 and 100% (NO OVERVOTING). We would be honored if you set us up as your your designated voter and we promise to uphold our values of helping newbies and building a great community here on steemit! Thanks for doing this @davemccoy, yes this detailed post was very much needed. Thank you for mentioning me, happy to be part of #newbieresteemday. Glad to see some positive responses. I would urge users to help by resteeming this to make it reach more Steemians as well as join the curation trail as every small help (by joining curation trail and however small the VP provided) will be of great help for new joinees. As usual, @coolguy123 is right!!! Resteeming this message is something that will help... So if you are reading this, then "re-steem" it! 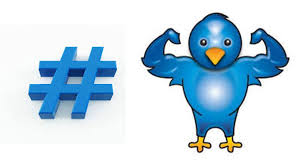 Lets let others know they can do this!!! no of course we don't have any requirements... Any gift of your voting power is a gift... We are thankful for whatever anyone can do! And yes... we have 3 members tr ained already @beeyou @mariespeaks @charisma777 who are handling the vote. They will keep our power between 80 and 100! And they will use the votes as described. The purpose is to help the newbies and give them a nice surprise when they have a good post! yes exactly! I see some of my friends are gone all the time and they would love to get their votes counted and used in a positive way. I didn't know that even the small votes added up, but it does... that is aweseme! And thank you for setting us up as a regulor too, that is awesome and very much appreciated too! Hi @everydaycoach, thanks for the positive response. As @davemccoy responded, there is no fixed demand/requirement with regards to with regards to VP%. Even a 1% vote from a person with reasonable SP will be of some value addition to the curation trail and final vote value from the trail. And as @newbieresteemday account is a new one and doesn't have much SP, they are restricted to vote on some countable posts only and hence there is no chance of over use of VP of the users part of curation trail. A resteem of this post will be greatly appreciated. Thanks very much @davemccoy for this gem of information Brilliant one . Thank you @vanemilano! I love that too... I'm on day 52 now and still learning so many cool things and ways to do good all the time! Its really amazing how creative people can be! That's great news! I got 3 people to sign up to Steemit this month. I will add this to my incentives list for sure. Great work Dave and all the helpers of @bieresteemday. Go Steemers! thats awesome @sweetjoy about signing up 3 new members! That's something that will help you as you all can work together on things and support each other with learning new things. Make sure they know about the tag #newbieresteemday so that can help them with their posts too! that is terrific! You are wonderful :) Thank you so much for that and for spreading the word too!!! 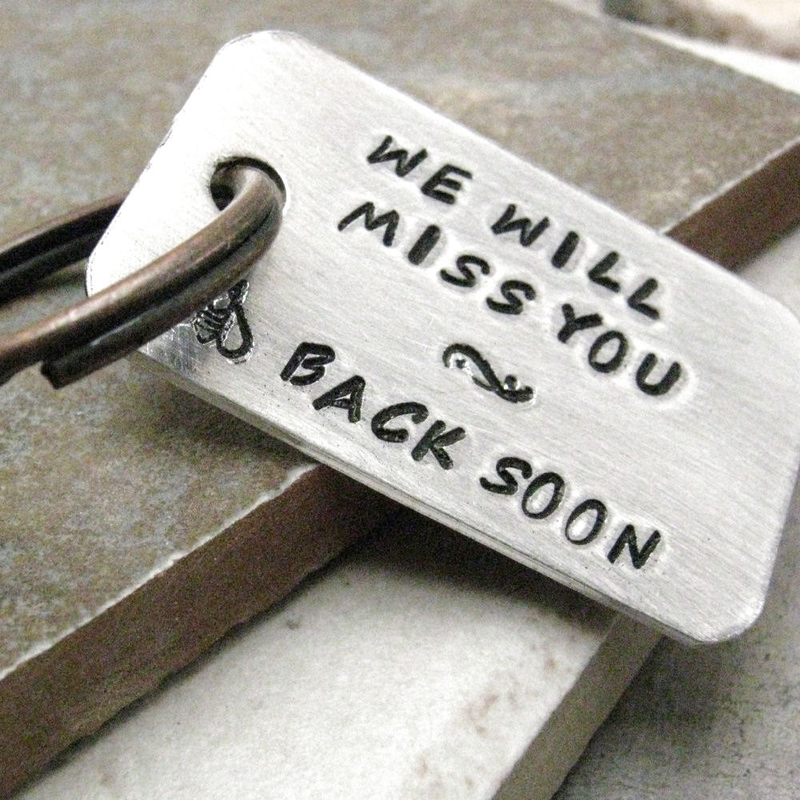 Pretty soon its going to be you doing the resteeming for the next incoming class... pretty cool huh? You're awesome, thank you again! I discovered SteemAuto a couple of days ago. At this moment I'm playing around with the settings of both the curation trail and the fan base to make sure they don't drain to much of my VP. I felt lucky I found out about it now, because in a couple of days I'll be in France for a week. I simply love the fact that I will not have to worry about upvoting and earning while I'm away. By the way, you can also use 'Fan Base' to automatically upvote any author(s) of which you know the posts make good money. You can set it to upvote after x minutes (this depends on how popular the author is) and decide on the % of SP too. Good idea to set up a curation trail for 'newbieresteemday'. I'll look it up and follow it as soon as I've finished my new post. you were the reason that made me think to do this post. When you said you'll be gone, I realized that happens to a lot of people (that have a real life) ;) ... And then I wanted to explain it to you in a simple way so you would do it... so thank you @simplymike! And btw, I know that I saw a few messages from you a couple of days back, and I have been meaning to get back to them and say thank you for "being all in"! Sometimes I have so many things happening that I say to myself, I'll get back to it... and then it just keeps piling up. I don't forget what you said though, and I wanted to spend the time to give you a proper response... I am so happy that I met you and want to be your teammate here for a long time!!! Have a nice trip! And thanks for sparking this post! :) that's nice @simplymike!!! thank you! 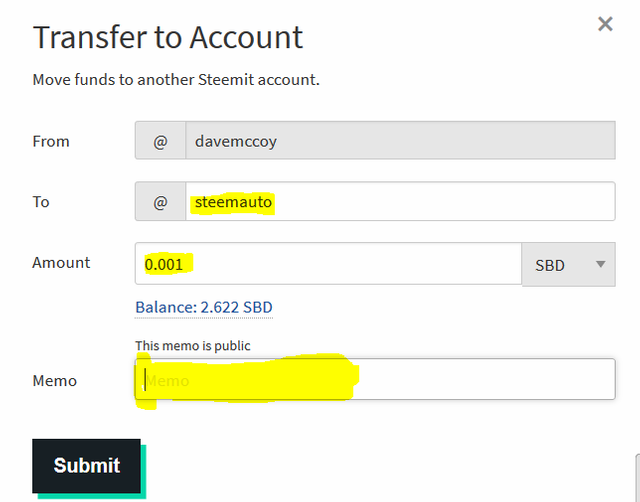 I've not used this part of steem auto yet. Thanks for the great step by step directions. I have made a note of the URL so I can refer back when I need it. yes... if you are familiar with steemauto then you are ready to go anytime you want. If you are gone you can find any curation trail to follow to meet your own tastes and needs! I really love the fact that is is doable! that's a good question @gillianpearce... I know they list all the trails and how many people are following them. I think you can go through them and figure out what their purpose is by either they're name, their blog page, or by simply messaging them. I know what we are doing, so if someone would ask me, I would definitely give them and answer. let me know if you find a place that aggregates this info!!! Thx for the heads up on that. I'll be using that down road. wickid cool idea!! if I'm ever lucky enough to go on a vacation I'm definitely using this ! or if I get over worked with all my other projects and just need a break for a few days. Another fantastic promotion from @davemccoy! thanks @resteemable! I have a question for you about the "witness vote" will that help you out if the newbies vote for you or do you need a certain size to make any difference. I haven't really delved into it even, I just know it exists (and thought it was really for the big guys)... If it is only for the big guys, then we will all grow up one day and we will remember what a wonderful service you are for us! ps... do you have a curation trail too? If not, you should set it up. I will include you in my future posts about how we can support the causes and programs that we all realize are benefits to us. And I think people would set you as a part of their trail too. Just an idea. If you need help doing it, I will guide you through it if you need any help. cool and cool... I have a few things ahead of the witness topic in the Q, but I will be doing something on it and if it helps then even more so that I will do it. I think it is important to explain to people how someone like you guys, really help out the newbies. I'm excited about this now. I will have some questions that I'll come back to you on, are you connected on discord? if so my name is davemccoy#2479 if you want to add me as a friend there. so cool and thanks for the lesson. There is also a Curie curation trail there on autosteem. You CAN join more than one trail. I was actually close to doing a post similar to this pointing out the Curie trail. I joined a little more than a week ago and the rewards are starting to come in so I can sort of see how it does. that is awesome, if you can share any infomation about how it performs, please let me know. I'm focusing more on the payouts for curation and I know it varies by what time you get in, but I don't know where to find out the questions like... does someone that votes 5 days later get paid the same as the person that votes 2 days later... stuff like that. Anyways... I will start to mention curie trails if you can let me know if you think its a good deal. hey Rydhi, the beautiful thing about this method is that even if you have a very low vote total or just do a small percentage of your total vote like 5%... it is added to the total because we all move together. And while today it is small, one day it will be big... and frankly its awesome because it does count when its added to each others... so don't think your vote is too small... if we all just do a little, it adds up over time! Its in the upper left! Since I have less than 45 Reputation can I also use the @newbieresteemday tag in my newer posts? Getting a "viewership" does take a bit of time and work and I will admit I have not posted as often as I should have. Regardless, Nice post and easy tutorial. SteemAuto seems like a nice tool to use. I have joined and set my voting power to 50% for the moment, so my normal votes still count elsewhere. I also made a new post myself. As I mentioned to @mudcat36. I would never expect anyone to resteem a post they feel is not for them or ones they feel unnecessary. If it will not add to your wall and its quality. Then I would respect that. Will catch up over time. Have been way too scarce. first, you can always tag your posts with #newbieresteemday because you are a member. So even when you are over 45 and around 80 then you can still use it for sure! Thank you for setting such a high percentage and fyi you can always adjust it easily if your needs/plans change. Its a great tool and I'm glad you learned how to do it! I respect very much your point about resteems and your point about getting vieweership is exactly why we started this to help aspiring people while they learn how to do so. I'm always happy to read any post you make, so just make sure I reply back to you (which means I see it) and I will check it out. I am going right now and read the one you put here! thank you for that and I'm happy to follow you @leumas! If I can help you with anything, just let me know!!! Good idea @davemccoy! I have 1 question regarding to the curation trail, since I following @newbieresteemday trail and what if there is a whale in the trail, and whale vote first before my vote, I will not earn anything right? Thanks @williamsyee... That's a great question. First you can set up the time that your vote gets casts. Some do it right away at 0 minute wait... While others do it at the 30 minute mark where none of the curation trail goes to the author. Others will go in between. 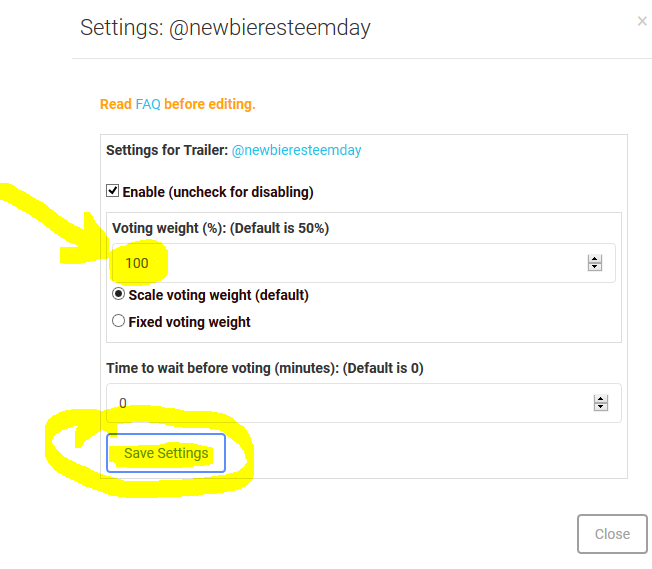 I frankly haven't figured out the best time myself so when I using this trailing service I just go 0 minutes and hope that the @newbieresteemday curators do the best to maximize the values of the votes. Remember they are also voting on behalf of @newbieresteemday so they want the highest curation trail for the cause too... Everything that comes into that account will be used to make it bigger (more SP). So its up to you whether you put a lag in it or not... remember the vote we are casting is manual and then the trail follows our vote (so hopefully we pick the right time based on the circumstances for all). And as far as the whale vote, I don't think you need to worry about that yet... so far the only big votes come "after" we vote because they maybe saw one of our people resteem it. But there are no whales yet in our curation trail. And my guess is the whales out there would probably rather have us get the trail because they aren't really voting for the curation trail themselves, they are really voting to "endorse" a particular post or way of doing something. Just my opinion! Thank you for your detail clarification! I appreciate it. I think the time to cast vote will be based on curation trail? From example I set 10min, should it be I vote 10min later after newbieresteemday vote? And if 0 min will be immediately vote after newbieresteemday vote? The reason I have this concern as I notice some curation trail have whale in it and I don't think newbie able to gain any benefits on it, unless newbie just want to help out upvote but don't want SBD in return. I might be wrong tho just my opinion. yes you have it right... it is after the vote from @newbieresteemday . So if you have it at 0 it is right when the @newbieresteemday votes... and 10 min would be a 10 minute lag. But you do have the concept and right thinking... but in our case we are small so its not an issue! I'm using it for two weeks now and it has a lot of interesting features. It has an auto schedule post so you can write your post at any time of day and then decide when it will go on steem. And I couldn't agree more every vote does count no matter how small it is. Oh gosh.... I feel important now. Very interesting. I may use it next month. Cool @marinaart! Yes I love the fact that I found this out... There is times when I'm going to be away for a couple weeks.. Just know I can set it up and be done with it, I think that is very very cool! I've finally decided to join #newbieresteemday curation trail :) My VP is really low at this moment, so I hope you wouldn't mind. Thank you very much @mrrpiusz... And you're welcome... It wasn't much but it was a way to help people to understand that the games aren't so hard and can be quite fun! and yes I think it is very good for giving you the ability to do other things and not worry about "logging in"... your account would actually grow through the curation while you are away! Give my best to Brian and I'm glad you found this and resteemed too. I did want to share it because I know everyone has things in their life to tend to as well! I saw that... cool ... thank you Lynn!!! I hope you are having a good weekend... I saw Brian's poem and last post. Thanks Dave; yes, pretty powerful stuff to say the least. It's been a tough weekend overall. Thank you for checking in though. I'm actually working on a blog about it all. I hope your weekend went well!